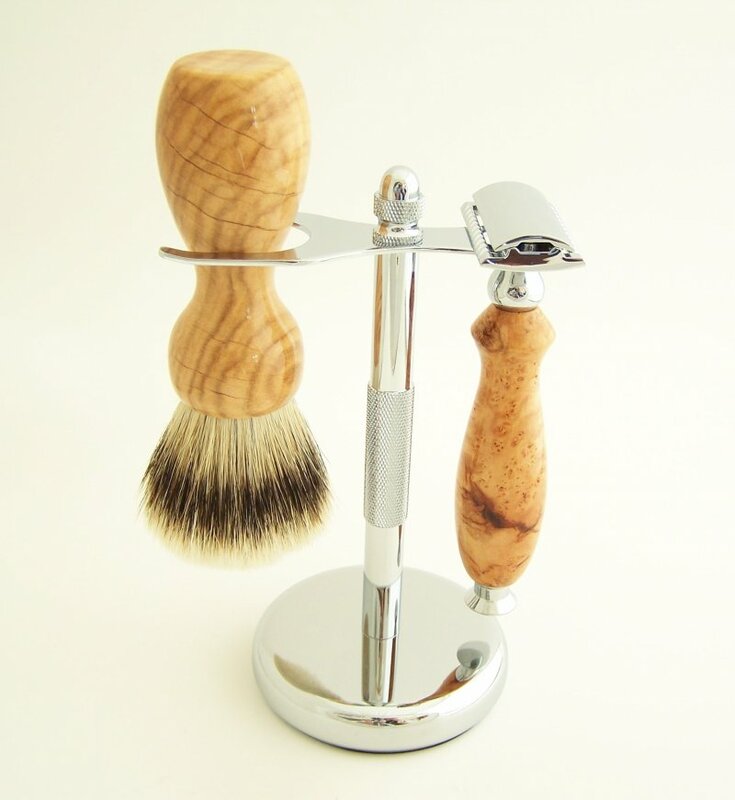 This set includes a custom Cherry Burl Wood 22mm Super Silvertip hair shaving brush, Double Edge (DE) safety razor and chrome stand. 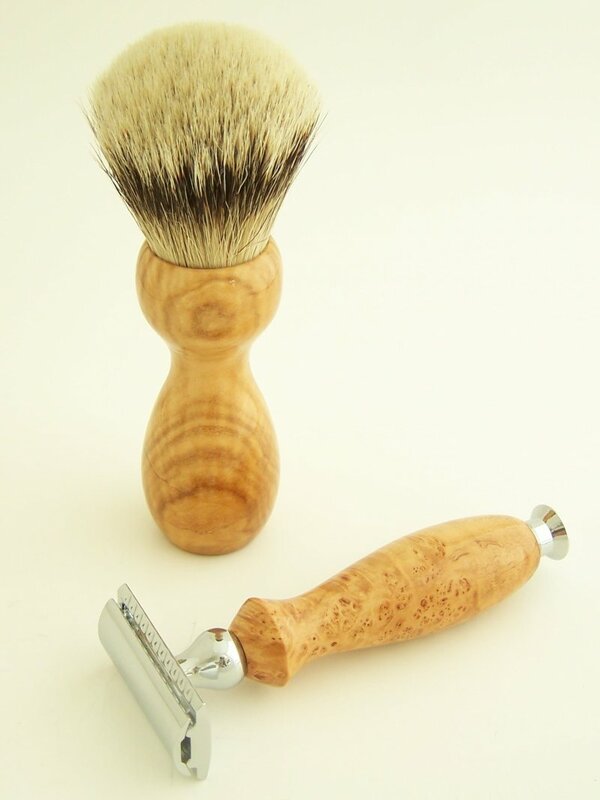 Super Silvertip knots have natural soft white tips that give the knot a luxurious feel. Super Silvertip is the highest grade Silvertip I carry and is an upgrade over my Super Badger and Standard Silvertip Badger. If you want the best, Super Silvertip is what you want. The knots are nicely packed and they have good backbone. 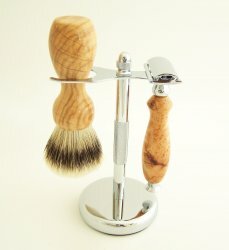 The shaving brush is 5 3/8" tall. 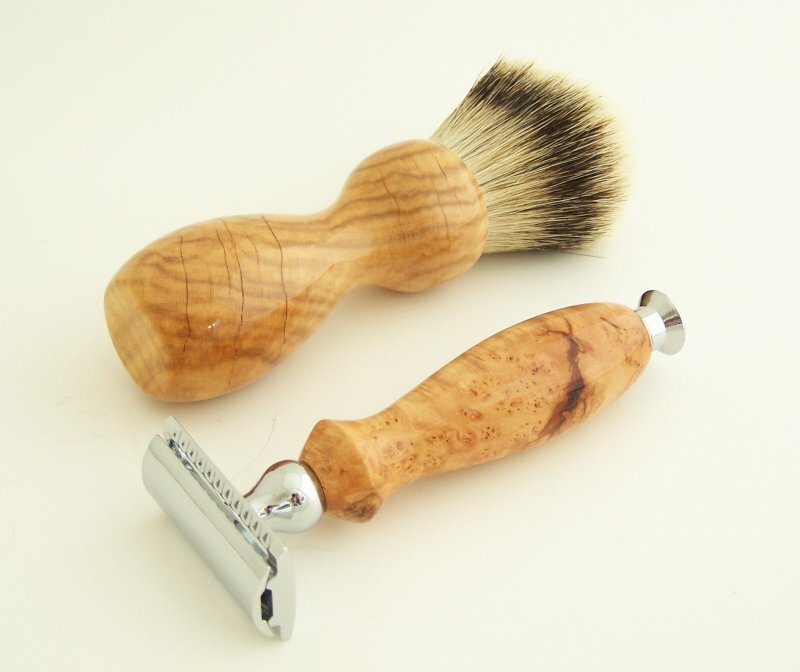 The DE Safety Razor is 4 5/8" long (2.6 ounces) and contains a clone Edwin Jagger DE head. The custom set pictured is the set you will receive.